December monthly review: co-hosting and a linkup! Hey y’all! Welcome to 2014. Follow your host (that’s me) and your co-host in one form or fashion. Link up to 3 posts from December only. OR link up one post with links to your December posts within that linked post. 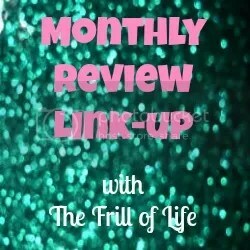 Give us a shout-out on Twitter using #MonthlyReviewLinkup and we’ll be sure to see your posts! Check back next month to see if you’re featured. We will feature four posts every month. If you are featured, feel free to grab a featured button and wear that baby with pride on your sidebar! If you’d like to co-host, email me! This month I am thrilled to have Emily from Davenport DIY as my cohost. 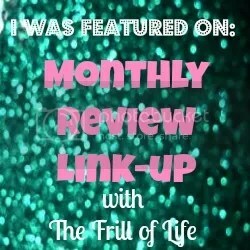 Emily was one of three awesome bloggers to score a comfy spot over there in my sidebar for a month and a half for FREE! If you follow me on Facebook you could have chances to win awesome things like that, too! Anyway, back to Emily. She has an adorable little boy who she refers to as “B”, which is also one of Bryson’s nicknames. My name is Emily and I’m a marine biologist from Washington (state not DC) currently residing in Georgia. I really enjoy crafting and creating things in my free time (use both sides of the brain equally, right?) I’m also a huge fan of finding a good bargain. My love of all things DIY and bargain hunting turned into obsessions in 2010, due to the fact that my husband and I became first time homeowners. This was a long time coming for us, and we (especially ME) were eagerly chomping at the bit to get the home improvement projects started (my honey-do list quickly reached mammoth proportions…sorry sweetie). In 2012 we became proud parents to a very awesome little boy we affectionately call “B”. He is the love of our lives and we cannot imagine life without him in it. Most of our current projects revolve around him (and his naps). Thanks for cohosting this month, Emily!! Be sure to go follow Emily, I promise you won’t regret it! Now, for our featured posts from last month. Danielle and I both picked one of the same ones, so I had to go back and pick another one. It was really hard, y’all. There were some really awesome posts last month. Seriously. I know Hershel over at Scrugg Bugg Corner swooped up double coverage this month…but she very much deserved it. If you haven’t been following along Herschel’s blog, I highly recommend it. It’s part of the reason that I’m late on this post…I have gotten lost in her corner of blogland at least twice this weekend. If you were featured, don’t forget to grab a button and wear it proudly in your sidebar!